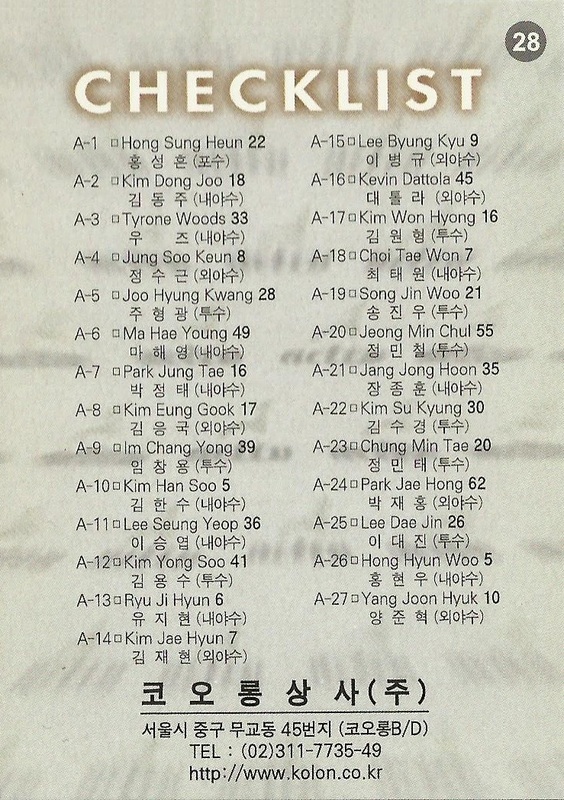 I recently purchased this 28-card set on a Korean site for W45000 (~$40). I suppose this is a subset but really it's just a set sponsored by Korean outerwear company Kolon. 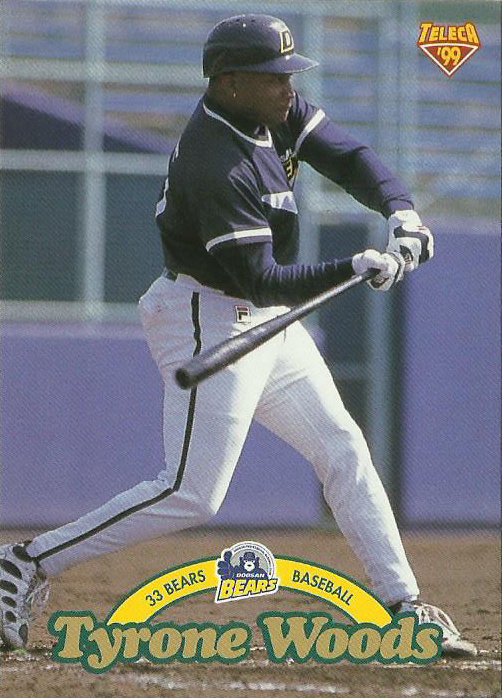 Of the 28 cards in this set, all the images used are the same from the base '99 Teleca set, except for foreigner Tyrone Woods. 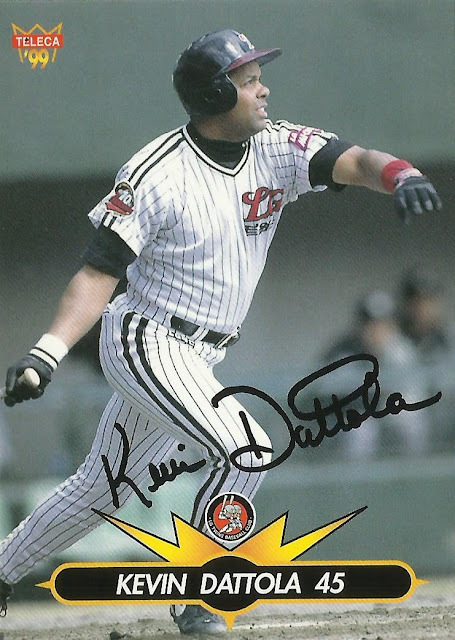 This set also has Kevin Dattola who I am missing from the base set so I do not know if it's the same photo because I am missing the base card. 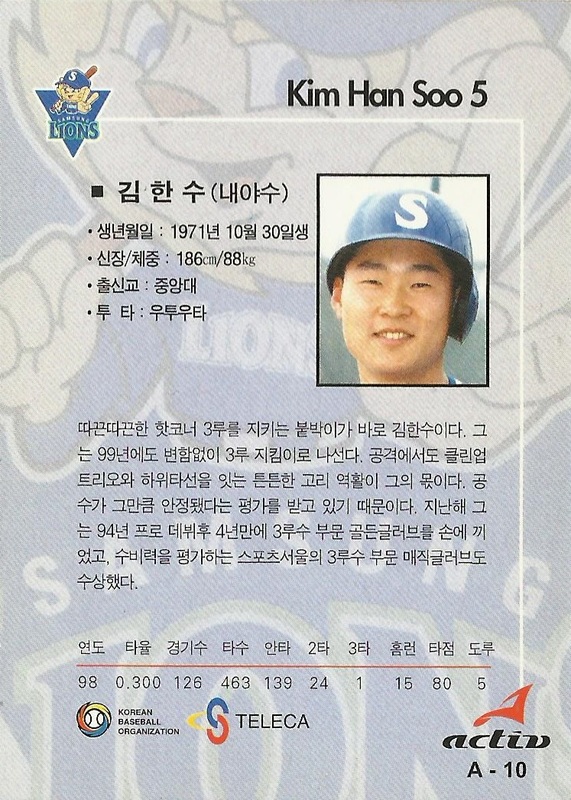 I am also missing some Koreans in the base set that are in this set but will assume the photos used are the same as the rest of the Korean players. This set also includes facsimile autos. Woods and Dattolla are the only foreigners in this set. 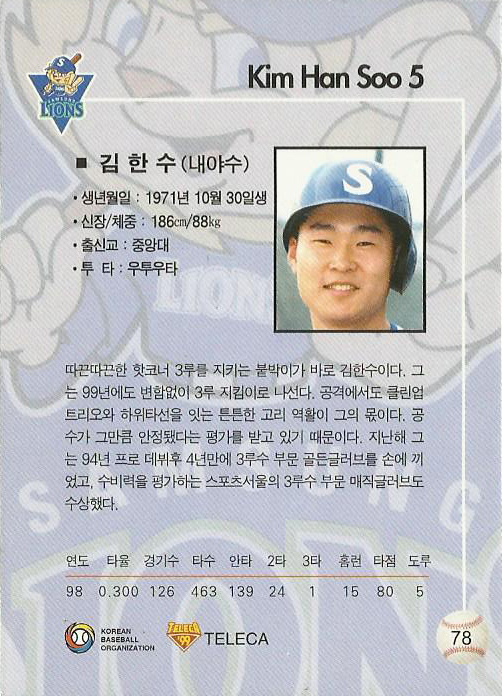 Lee Seung-yuop is also in this set which gives him another RC for 1999. 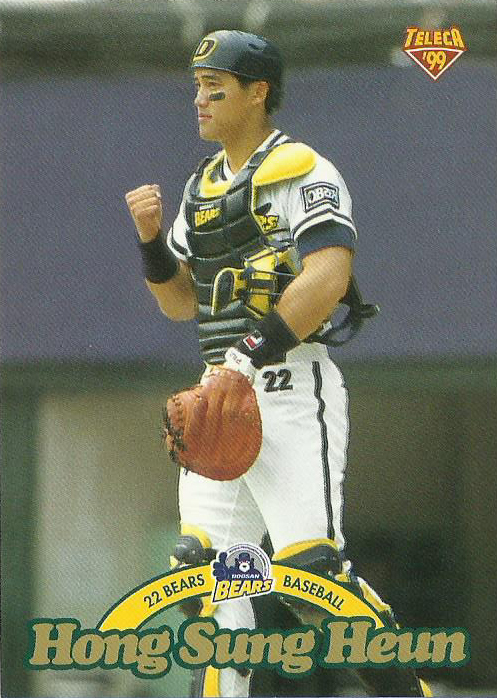 Also what I noticed was that the back photo of the 1999 Teleca Woods base was used in this set as the front of the card, as well as the back again. 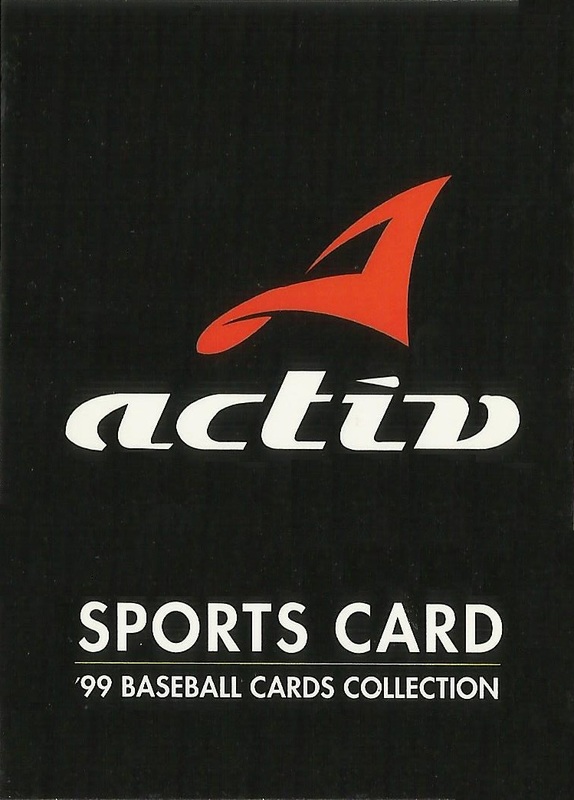 The backs are similar with a few slight differences, which include the Activ logo with the '99 Teleca logo absent but with the Teleca logo variant substituted. 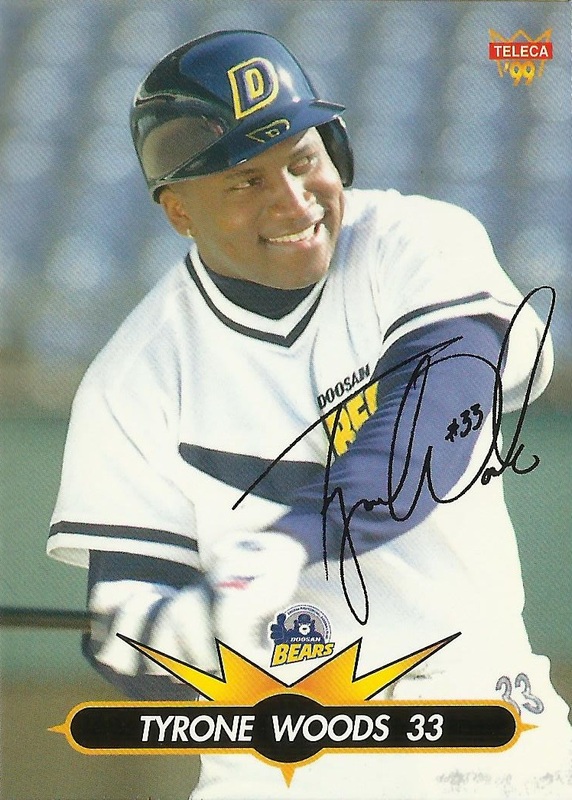 The '99 Teleca logo used is slightly different which is refreshing, as is the name plate on the front. 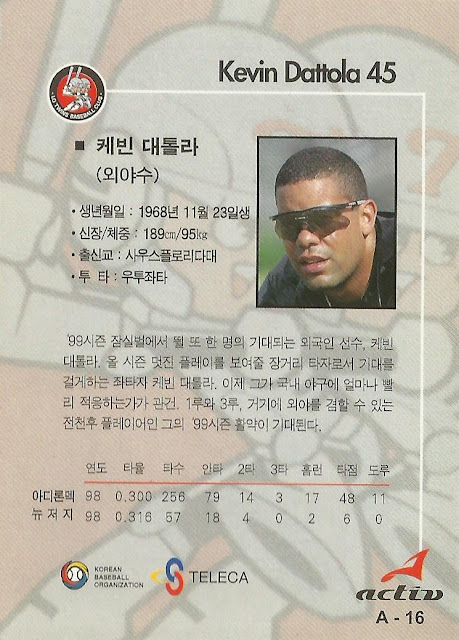 Here is Kevin Dattola's card for those interested in foreigner cards. It's my first of his cards. Neat cards and cool pick up. Japanese BBM cards have a bad habit of using the same photo for both the front and back on the majority of their cards. Cool factoid: Teleca in Japanese means Telephone card (spelling Teleka テレカ). This is a whole new arena I want to get into someday. 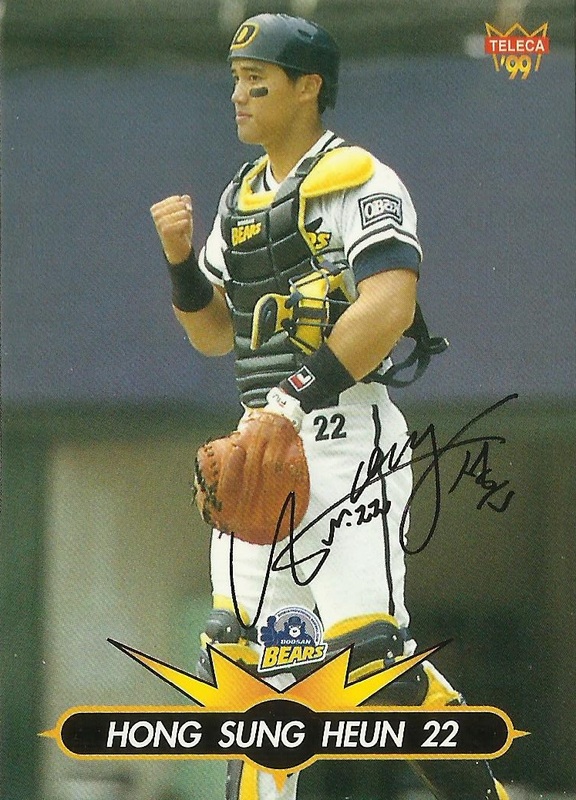 Kevin Dattola does not actually have a card in either of Teleca's 1999 sets - the regular one and the Premium one. 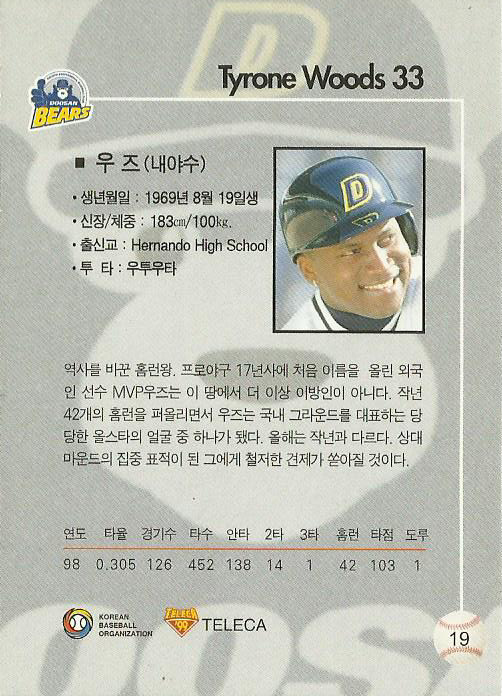 Since he only played in Korea in 1999 I'd wager that this is his only Korean baseball card.